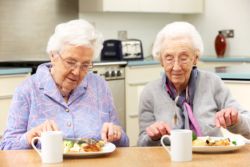 At Caring Angels Home Care, LLC, we provide in-home care services that help prolong an aging person’s ability to live independently and safely at home under a direct supervision of a social worker. Our in-home care services are structured around the well-being of our clients with positive interactions that empower each client’s needs in a professional and meaningful manner. Do you want your senior loved one to take advantage of services from a full-service home care agency? Call 484-794-7346 and arrange for services soon.